Those hard-earned insights deserve to be heard. We offer a platform to amplify your voice and share your story. of consumers research small businesses online before visiting. 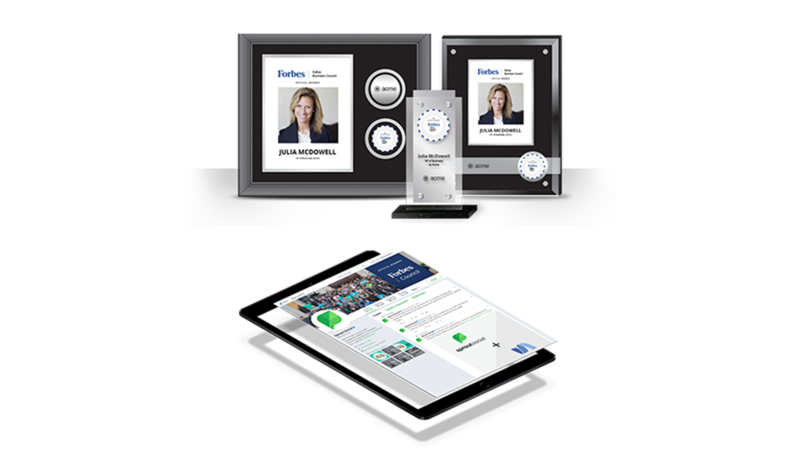 businesses with online content close six times more sales than those without. of consumers prefer to get to know a business through articles versus ads. Members are selected for the Council based on their depth and diversity of experience, then invited to share their insights via CommunityVoice on Forbes.com. The Forbes’ site is trusted by more than 50 million monthly readers, who visit to learn about and discuss the latest trends and best ideas in business. You have something unique to add to that conversation, and your current and prospective partners and clients want to hear it. Whether you love to write or lack experience, our in-house editorial team will help you find your voice. 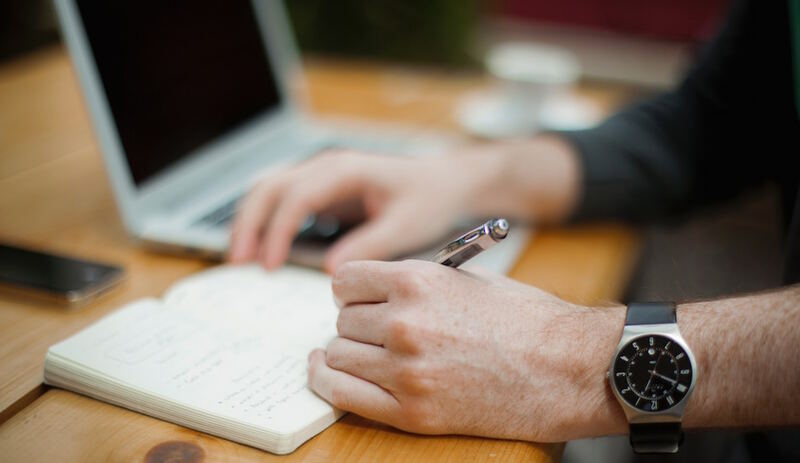 Each article you submit for publication will be workshopped with our editors to ensure it meets Forbes’ guidelines and is optimized for engagement. 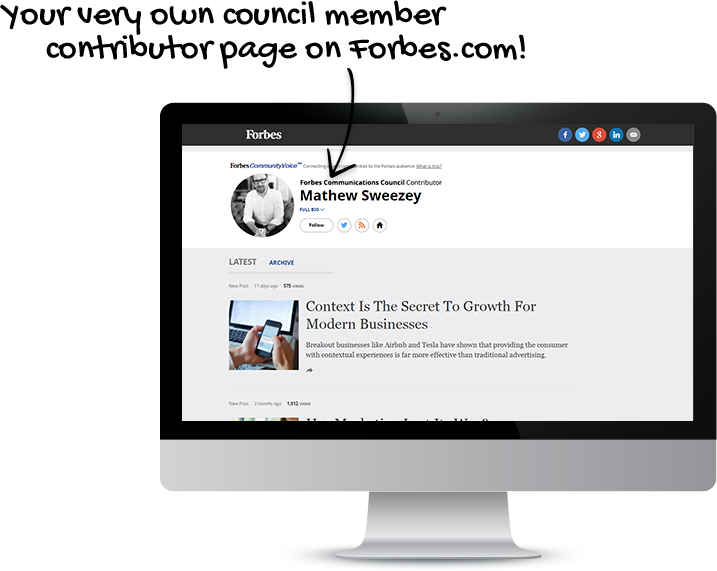 When you share your insights via CommunityVoice on Forbes.com, you’ll also receive a contributor page that archives your content and links to your website and social media profiles. Use your page to build your reputation as a thought leader in a particular industry or area, and witness a positive impact on everything from brand recognition to organic search results. Confirm you meet the qualifications below, then click to apply.